Stanthorpe Tours unique touring style provides you with the ‘ultimate ride’ and an unforgettable experience whatever the occasion, wherever the destination. 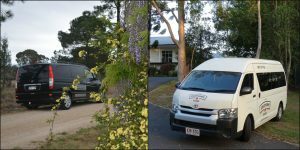 Some of the most memorable days are having “Fun with friends, family, clients or colleagues” and what a spectacular way to discover the best of the Granite Belt by travelling in luxury. Stanthorpe Tours invites you to choose or create the tour that best suits your special day. We will happily customise your tour to include attractions most suited to your group to create an unforgettable experience. 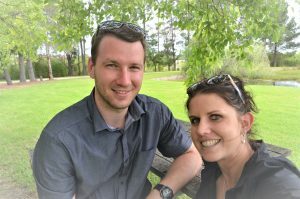 Deciding on the perfect itinerary for your perfect day out with Stanthorpe Tours can be a hard decision. We know the Granite Belt offers many unique attractions, more than 55 vineyards and 38 boutique cellar doors and a broad range of local produce, that’s why we encourage you to mix and match our itineraries to create a special day just for your group to enjoy the wineries and attractions of your choice. If you are a wine connoisseur or just love a red or a white we can create you your very own wine trail, just let us know your preference. Contact us on our details listed, follow us on Facebook or head over to our website and book your tour today!